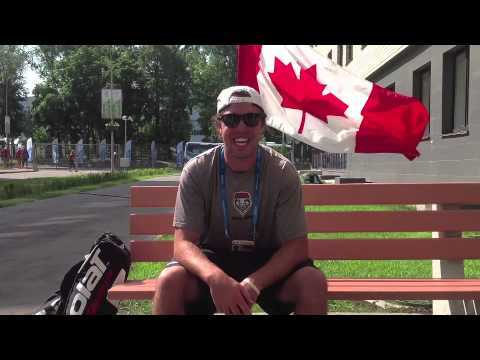 Roger is well known in the tennis community in Nova Scotia as both a player and Level 3 coach. He started with the NSTA in 1993 and also served as a Head Pro at St Georges, Northcliffe, Waegwoltic Club and the Courtyard. He also has traveled throughout Canada and the U.S. with Atlantic Canada’s top Junior players. Roger has a plethora of projects to pursue including securing further sponsors, compiling a strong membership base for Nova Scotia, updating the web page, the BTC school programs, the Under 12 Camps and Rookie Tours as well as fine tuning the tournament player schedule. The Board and Staff would like to welcome Marijke Nel to the Tennis Nova Scotia team. Marijke has been involved in the sport of tennis for over 25 years and within Nova Scotia specifically for the past 6 years in a coaching capacity.